In speaking of DaVinci Resolve, we all know that it combines professional non-linear video editing with the world's most advanced color corrector so now you can edit, color correct, finish and deliver all from one system! Can't load your MP4 file to Resolve 9/10/11/12? The reason is that MP4 is a format container with different codecs which isn't compatible with Davinci Resolve. 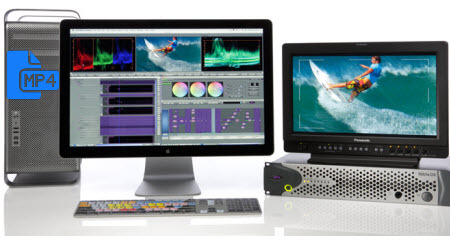 This article will focus on how to solve MP4 and Davinci Resolve incompatible issues. According to Davinci Resolve's offcial site, Resolve does not support MP4 files, or any compressed audio file formats. How can we freely load/import MP4 files in Resolve 9/10/11/12? The answer is change MP4 files to a more editing-friendly format, such a Resolve's DNxHD .mov. 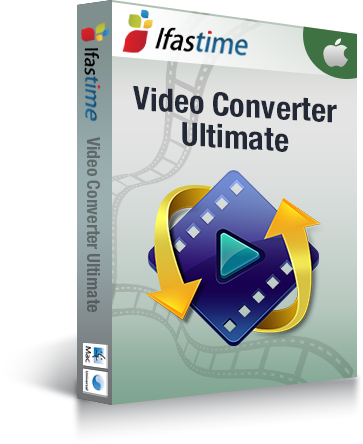 To change MP4 files, you can adopt iFastime Video Converter Ultimate for Mac to get help. 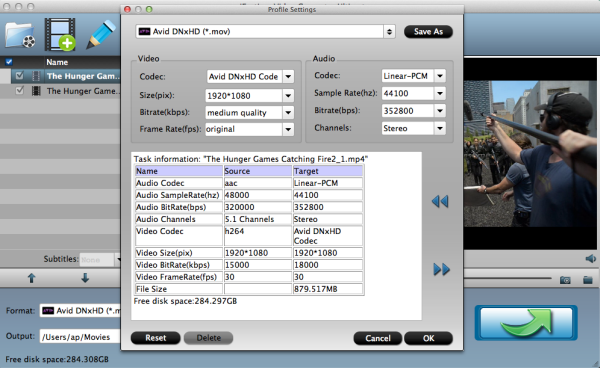 It is a professional yet easy-to-use tool to help you finish the MP4 to Davinci Resolve conversion on Mac. It supports transcoding MP4 files to Davinci Resolve reable format on Mac OS X (El Capitan and Yosemite included) with fast encoding speed and without quality loss. So you can edit MP4 footage with Resolve 9/10/11/12 without any issue. Beside, this video convert program can also help to convert MP4 to Adobe Premiere Pro, Final Cut Pro, iMovie, FCE, etc. Plus, with the built-in video editing feature of the program, you can trim, crop, add watermark/subtitles and more to your video files. Here we go to the MP4 to Davinci Resolve Mac task. Launch the iFastime Video Converter Ultimate for Mac, and you may either click "Add video" button to import .mp4 files, or directly drag and drop the files into this program. If you'd like to combine multiple MP4 files to be a single file, you can tick the checkbox "Merge into one file". Tip: Before conversion, you can click the "Settings" icon to customize the video/audio settings including the Bitrate of Video and Audio, Audio, Video Size, Sample Rate, Frame Rate, Audio Channels, etc for iMovie, Final Cut Express. After all the necessary setting have been done, click the "Start conversion" button at the bottom right corner to start transcoding MP4 to DNxHD .mov. Finally, launch Davinci Resolve. Find the file in the Library panel, and then double click your clip or Right-click and select "Add into Media Pool." Now the clip is added to your Media Pool. You can also import entire directors or a range of clips into the Media Pool. If you want to edit MP4 media in Final Cut Pro, please choose the "Final Cut Pro > Apple ProRes 422 (*.mov)" as output; For iMovie or FCE, choose the "iMovie and Final Cut Express -> Apple InterMediate Codec (AIC) (*.mov)". For Adobe Premiere Pro, choose "Adobe Premiere/Sony Vegas" > "MEPG-2(*.mpg)". No better editor/converter out there. No format is too obscure for this program. 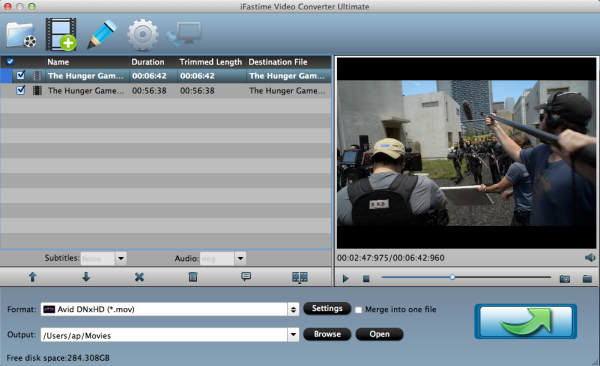 iFastime is still the best software that provides the easiest and fastest way to encode MP4 files for editing on Mac. I am very happy to look your article. Thank you a lot and I’m taking a look forward to contact you. Thank you so very much for providing this piece of information.